Engage your audience by adding a little color to your presentation. Clear labels virtually disappear on colored tabs. Personalize tab labels using your inkjet or laser printer. Engage your audience by adding a little color to your presentation. Clear labels virtually disappear on colored tabs. 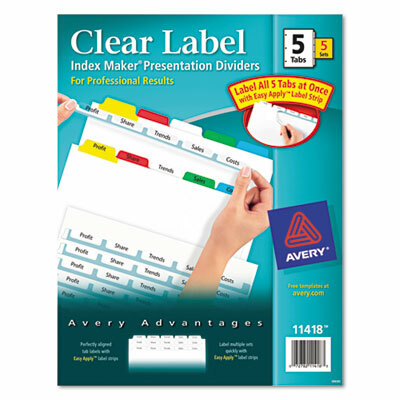 Personalize tab labels using your inkjet or laser printer. Three-hole punched for use in standard ring binders.